Metal detecting … why misinform the only people who can end bad practice at a stroke? As we were saying, PAS publicizes good detecting practice but rarely bad practice (for fear umbrage will be taken presumably). It’s a dubious strategy – for ignoring misbehaviour rarely reduces it and anyway PAS has no mandate to offer an inaccurate picture to the public. Also, the strategy is demonstrably damaging. Here’s why: landowners are the sole group with absolute power to allow or disallow detecting so they are pivotal gatekeepers both metaphorically and literally. If they aren’t made aware of bad practice (or the fact PAS’s statistics show it is very widespread) they aren’t equipped to make informed, heritage-friendly decisions or to curate the history in their fields on our behalf. So here’s some “advice to landowners”. We’ve sent it to the PAS management with a polite request that they publish something similar on their website and in the farming press. We are certain that if they did it would make a huge difference to conservation. We’ll let you know how they respond. “Bad practice” in metal detecting is any behaviour that results in loss of historical knowledge (such as digging in sensitive places or not reporting all archaeological finds to the Portable Antiquities Scheme). In Britain it is not usually a crime but it invariably damages the interests of the rest of society. As such it is strongly opposed by the Government and every archaeologist bar none. Please don’t allow metal detecting bad practice on your land. 1. Good and bad practice are defined in The Code of Practice for Responsible Metal-Detecting in England and Wales which is supported by all the main archaeological and farming organisations. Please make sure any detectorist on your land adheres to that code and no other. There are numerous other codes and assurances in existence and it’s vital you do not confuse them with the official one or assume any of them are officially sanctioned. They are not. a.) Written proof that they are in a detecting club that insists on all members adhering to the official code, no other. b.) Contact details for the local Finds Liaison Officer and Local Archaeology Service so you can check on both the detectorist and the suitability of the land as necessary. 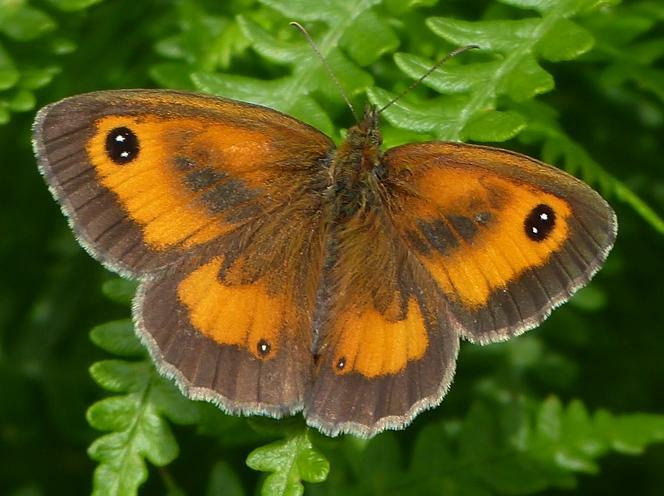 The Gatekeeper, Pyronia tithonus. Like landowners, it is left blissfully unaware that bad metal detecting practice has absolutely nothing to do with nighthawking. Indeed, but it doesn’t say what is necessary. Judging by the debacles such as Priddy, Oswestry et al, Landowners don’t give a hoot as long as they can make money from their land in whatever way they can.